We repeatedly asked Mr. Copson to name a single project of consequence that he or his firm designed that was constructed. 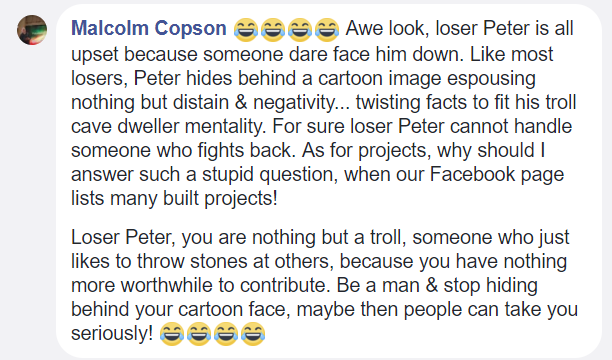 Mr. Copson was never able to name a single project and turned even more unprofessional in his responses. 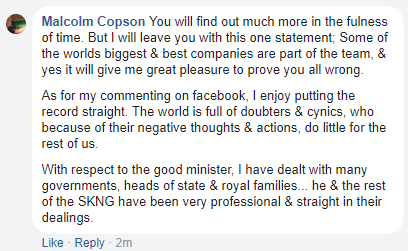 And in true professional style, he just continues. 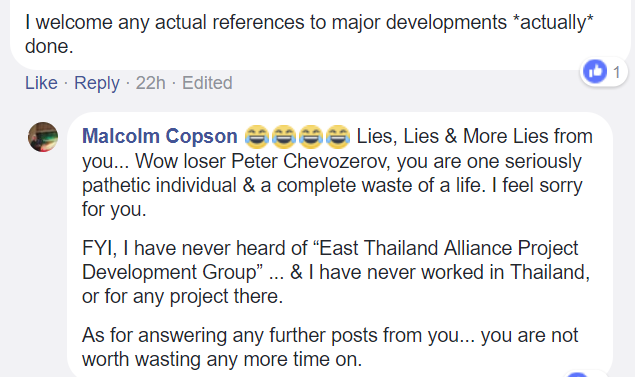 Despite his claim, we cannot find any completed projects on his Facebook page which has a whopping 178 likes. 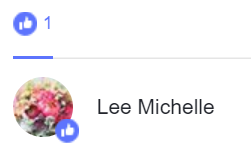 If there are so many, why can’t he name one? 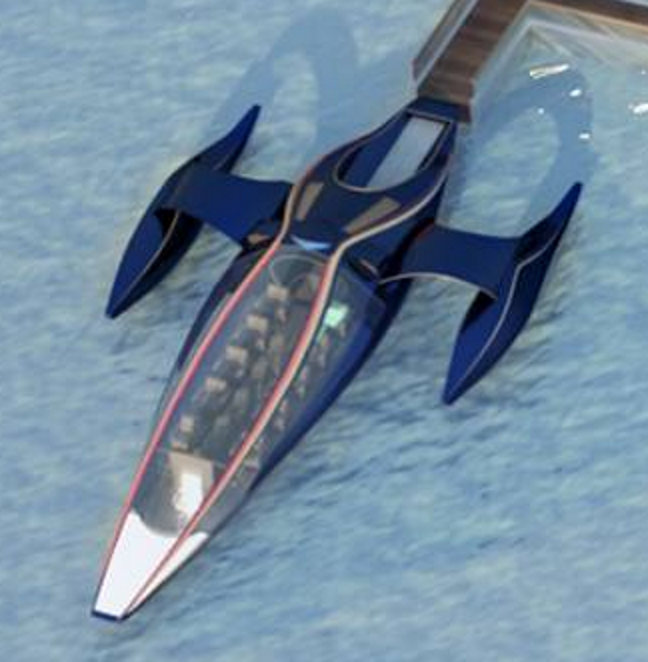 MOI Engineering (Malcolm Copson) has dreamed up some very cool design projects. But among the dozens proposed not a single one has ever appeared to have broken ground. And now we are to believe a $3 billion dollar investment is confirmed for St. Kitts? 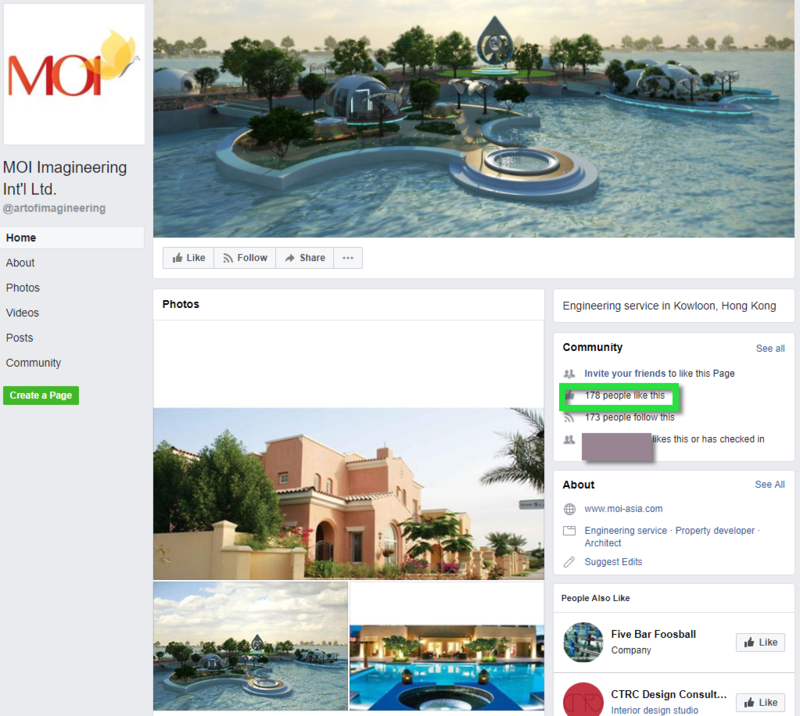 MOI Engineering is so well “respected” that their official Facebook page has a whopping 178 likes. And from the little bit in Google, it appears that this “engineering powerhouse” has a whopping 2 employees, including Malcolm. And STORM is even more “interesting” than MOI according to this legal case. 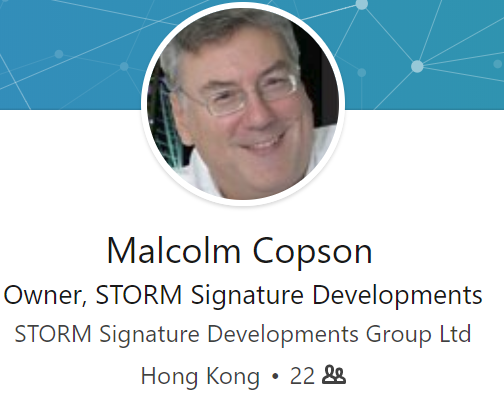 We can find no projects completed by Mr Copson, STORM, or MOI. We can however find announced projects that ended in legal disputes in at least 3 countries. Evidence to the contrary is welcomed if any exists. Since then The Manchineel has learned that The Minister is not telling the whole story. After an exhaustive investigative journalism effort we have determined that SEA CITY is just phase one of a much larger project which will eventually see the installation of a new space port in St. Kitts & Nevis by none other than Elon Mosque. In one of the photos you can actually see the first proposed space port. By zooming in, we can see that these are not boats but new space shuttles from Space-Ex – Elon Mosque’s famous and innovate company. Elon Mosque became famous for producing his famous Tulsa electric cars. “Soon Tulsa won’t be only in Oklahoma,” Elon told us. “Our new space shuttle like our cars are all electric. Part of the reason we chose St. Kitts is to partner with their world renowned electricity supplier, SKELEC. SKELEC has unique experience in delivering higher than demanded voltage, so its seemed like a perfect fit,” Elon Mosque continued. “SEA CITY is a 10 star resort and we have thought of all phases, even down to the bedding. 1,000,000 million thread count Martian Cotton will be used to make the bed sheets and provided by BULSH Engineering as well. This new amazing bed sheet will be known as BULSH sheet,” said Elon Mosque. proposed plans and has found NO detrimental environmental impacts. The impacts of such as resort go well beyond tourism so The Manchineel also contacted other departments impacted by this development. The updated press release is posted below. 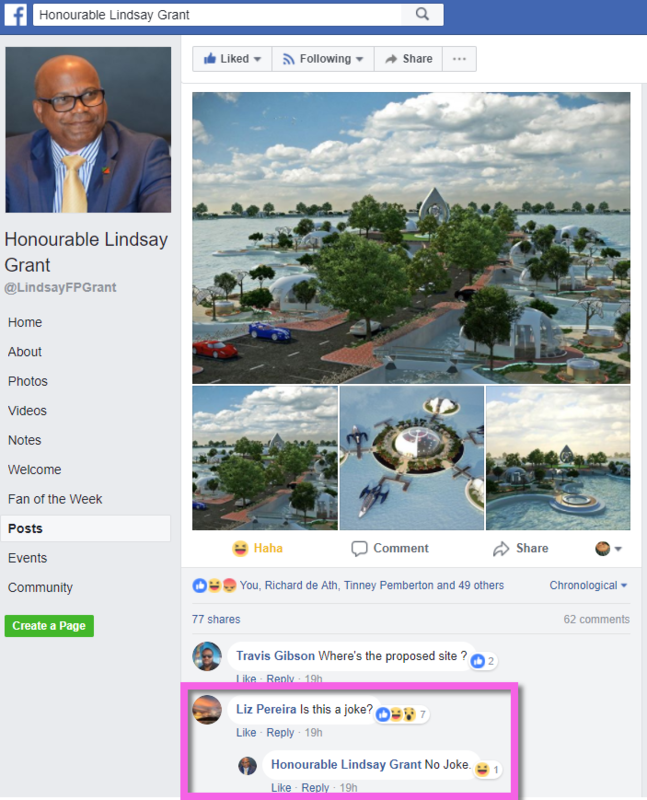 Basseterre, Monster of Tourism, the Honourable Worshipful Boastful Chattafart Strupiest John Krant has announced that the Federation of St. Kitts and Nevis has been chosen as the Host- Nation for the unique, futuristic, cutting edge, SEA and SPACE City Development project, coded name SPIN CITY (SPace In Nevis), by BOI! Imagineering Intergalactic Limited. 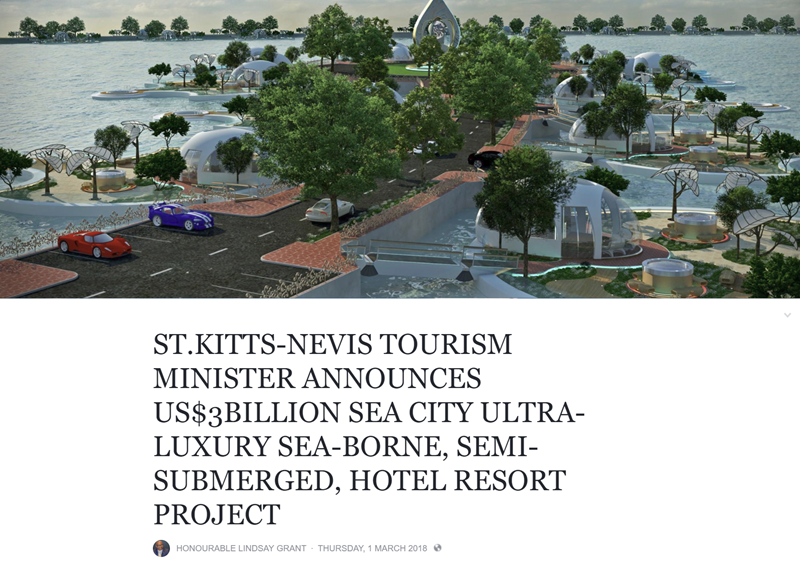 Once completed, SPIN City – St. Kitts & Nevis, will be an exclusive, the First of its kind, “Ultra Luxurious Underwater Living Experience and Lifestyle, unlike anything seen to date” the developers contend. To explain the nature and scope of the SPIN City project, the developers sought to capture the significance of sharing this beautiful island, which is a microcosm of Earth – fragile and irreplaceable – and the vision of how to enhance and protect this small space at the same time. It embodies and celebrates also, the importance of Ocean Governance and Marine Development for the good of the islands’ people mindful that as global warming and rising sea levels intensify, mankind must look beyond the shores of our land-based habitats for growth. Since SPIN city is also a space port, if the environment becomes goofed up, our residents will have easy transport to their choice of the Moon or Mars. Principally, SPIN City will showcase the importance of environmental protection and the prerequisite of environmental sustainability,unafraid to embrace technology and to employ it wisely in applications that benefit the local people. For reasons such as these; as well as the willingness of the Government to embrace innovation for people empowerment and the vision of the developers in addition to the creative spirit of those who have gone before us, SPIN City is springing to life. 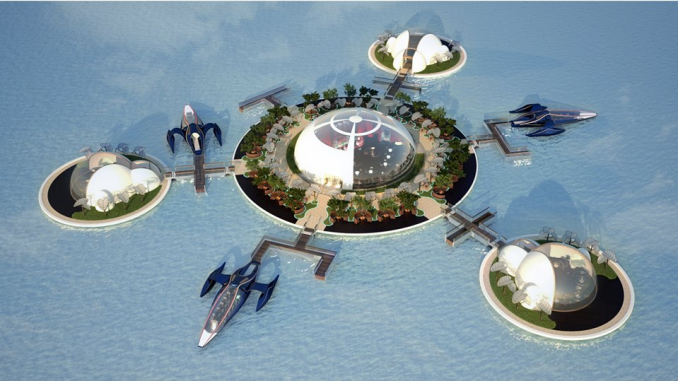 The Project will occupy a 10 Square Kilometer space that will develop as a floating city comprising 1,000+ signature [floating] semi-submerged residential units and space capsules; 500+ Signature floating semi-submerged resort accommodation units; underwater leisure pool and spa complex; underwater garden; floating banqueting restaurant and bar; semi-submerged resort reception building with feature restaurant and conferencing facilities; a 1,300+ rocket berth marina; marina clubhouse restaurant and bar; 20,000 + square meters of floating leisure attractions, for use by the residents and tourists of the Host Location alike (external to the Sea Wall); a network of floating roads; a protective floating sea wall, with built-in running and cycling tracks; a 50+ MW electricity generation plant designed by BULSH IT and powered by dreams, and fresh water generator; and a retail and reception spine adjacent to the marina complex. Named as the Top Caribbean Destination by Forbes 2018, “the islands of St. Kitts and Nevis each has treasures to explore amidst their Caribbean waters, rainforests, inviting climate, landscape, heritage and culture. SPIN City embraces our “flexible and eager” politicians and will reflect distinctive, inherent geographic and cultural elements”, Minister Krant concluded. 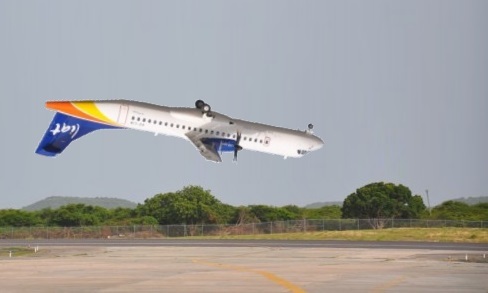 The Developers have stressed that the emerging collaboration with St. Kitts and Nevis flows from the Government’s commitment to announcing crazier and crazier ventures while calling it “sustainable development”, innovation for growth and people empowerment wedded with the belief in the power of working to fulfill God’s plans to enhance lives and build better communities; and therefore, SPIN City will be a project of Love for the betterment of all mankind.